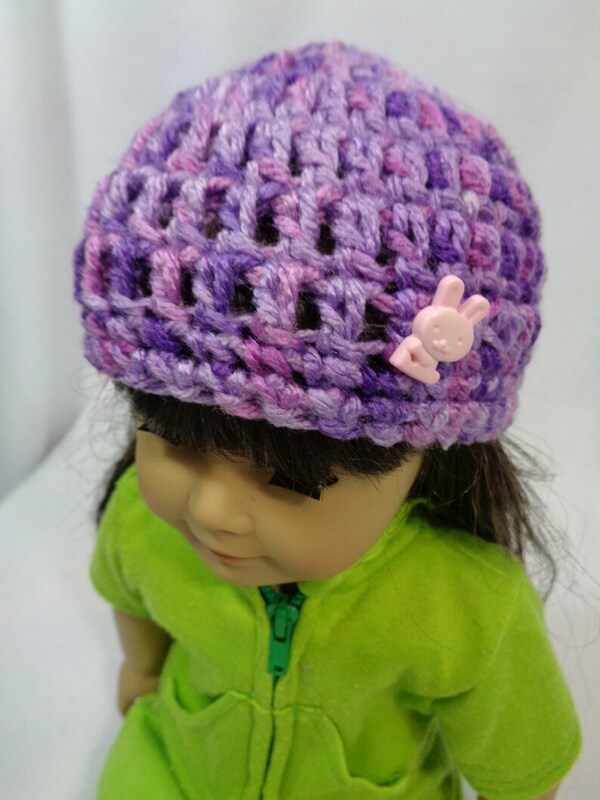 This cute little doll hat is perfect for accessorizing outfits. It has been crocheted from purple, lavender and pink yarn and I've added a cute pink bunny rabbit button for fun. It's always fun to have a new hat. Need a bunch? I'm always happy to make a special order for you and I do give discounts for purchasing multiples. They are great for a birthday party! This one is perfect to match an Easter outfit. It is ready to ship! Want some for a birthday party. Or a DIY hat decorating party. Check out this listing where you can buy multiples for a discounted price.